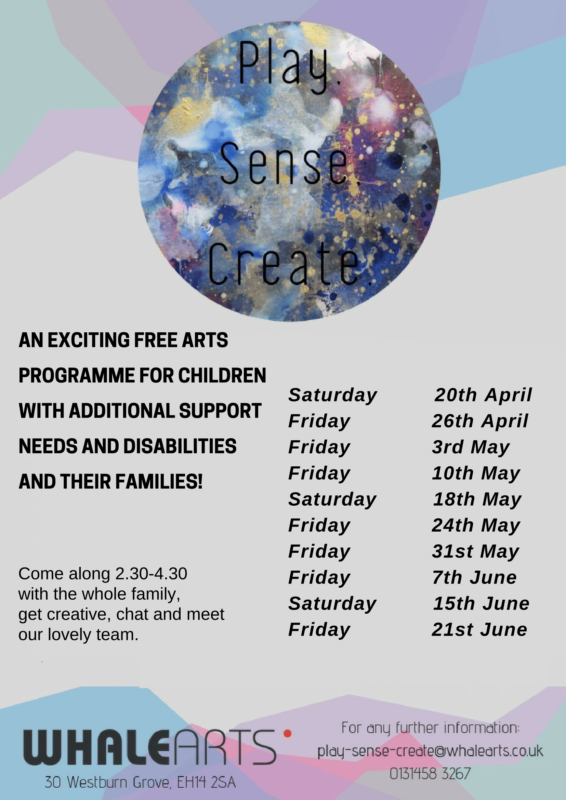 WHALE Arts has announced the programme for Play Sense Create, a Multi-arts project for primary aged young people with Additional Support Needs/Disabilities and their families. Come along to their Friday and Saturday sessions which take place at 2.30pm – 4.30pm at WHALE Arts, dates listed in the poster below, to try out some arts and crafts, music and more, just tell them what you would like to do. For more information please get in touch with WHALE on 0131 458 3267 or play-sense-create@whalearts.co.uk.